An extraordinary scuba diving event took place this winter right in Montreal. Scuba divers fascinated the Montreal Biodome visitors. 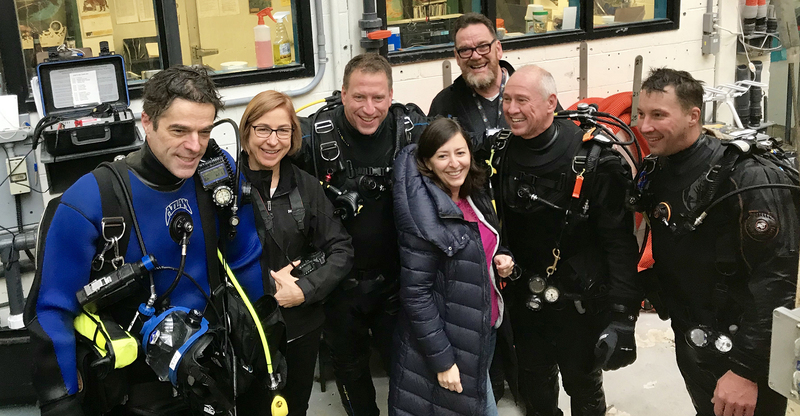 Thanks to the Biodome’s team of diving professionals as well as organization from the “Société des amis du Biodôme de Montréal’, a very special activity saw the light. An idea for a project to grant scuba divers access to the large Gulf St.Lawrence reservoir at the Biodome. A pilot project was born in this renown reservoir containing 2.5 million liters of salt water at a temperature of 10°C. It features an impressive ecosystem where fish, starfish, anemones, sea cucumbers, waved whelk, crabs, sea urchins and bird cohabit. This is a spectacular environment by the sheer number of species encountered on one dive. Its unique! As part of this project, the Biodome wanted to validate the impact that an increase in the number of divers has on aquatic life and birds. We were asked to select divers. We were quite thrilled with this project. We knew the project would be extremely popular, and we had a draw the select the lucky 9 divers who would have the honor to be the first in this aquatic adventure. The divers belonging to our Facebook group has a chance to participate, and more than 50 divers were interested to be part of this adventure. The day was incredibly well organized! The divers were divided into three groups. One team in the morning, the other at lunch, and the third in the afternoon. 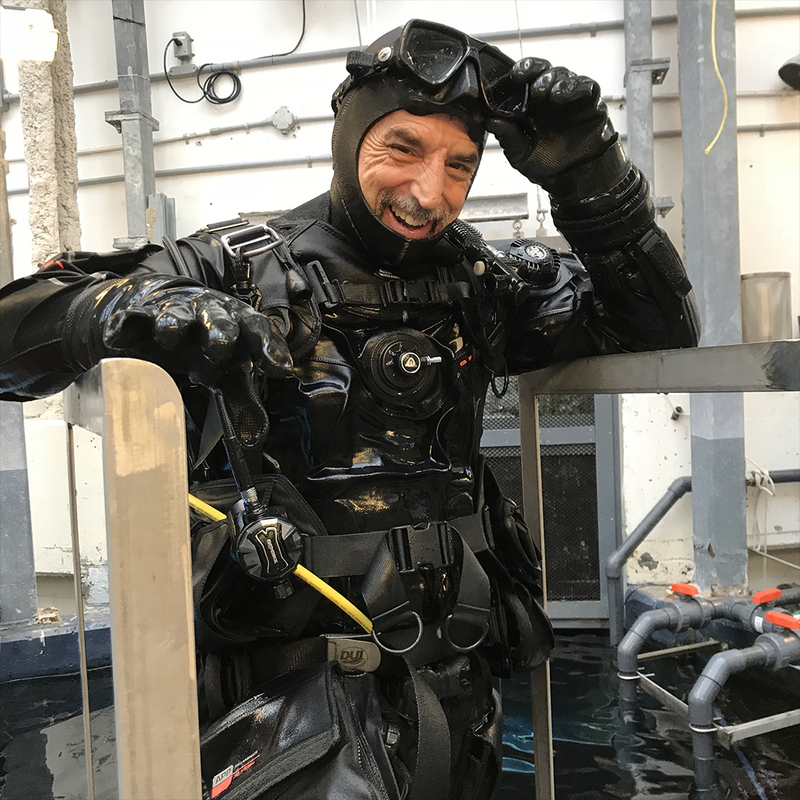 A very busy day for the Biodome’s Dive Director Mr. Richard Savignac. Each experience started with a thorough decontamination of the equipment to ensure the protection of all organisms living in the reservoir. A safety briefing and comprehensive presentation of the living species followed, which clearly enriched the experience. The divers were quite excited before rolling into the depths. 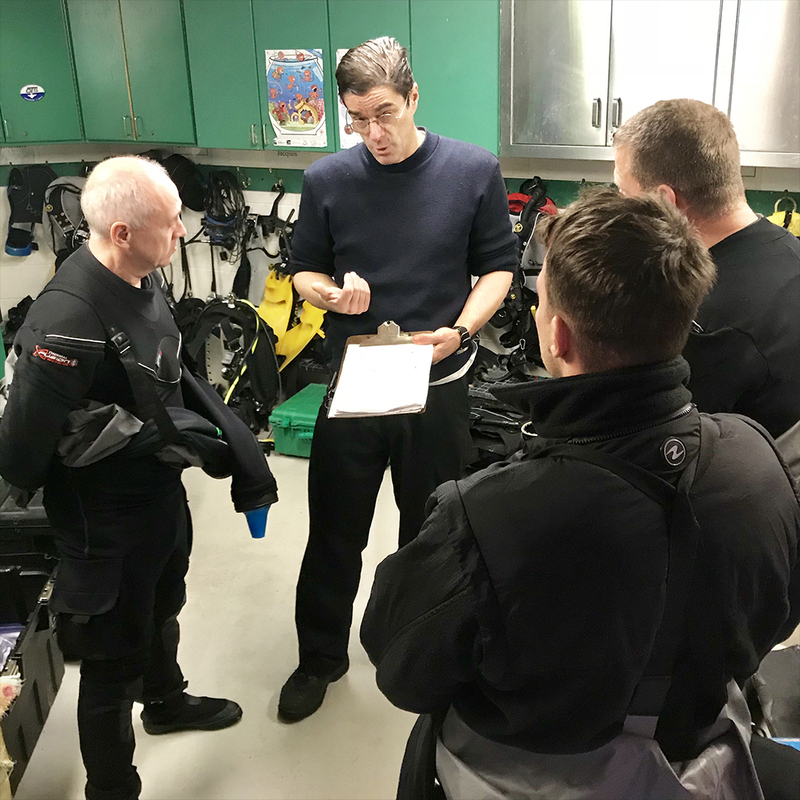 The underwater experience lasted approximately 45 minutes where Mr. Savignac shared his favorite work environment with the divers. Visitors of all ages were also able to enjoy the divers’ adventure. Visitors were clearly fascinated by the divers, as a crowd formed every time divers were present. Young and old were curious and amused to see the divers. The smiles of the divers exiting the water spoke volumes of the unique moment spent underwater with their guide. Everyone was unanimous in their enjoyment, and greatly appreciative of the Biodome team and friends of the Biodome to have invited the divers. 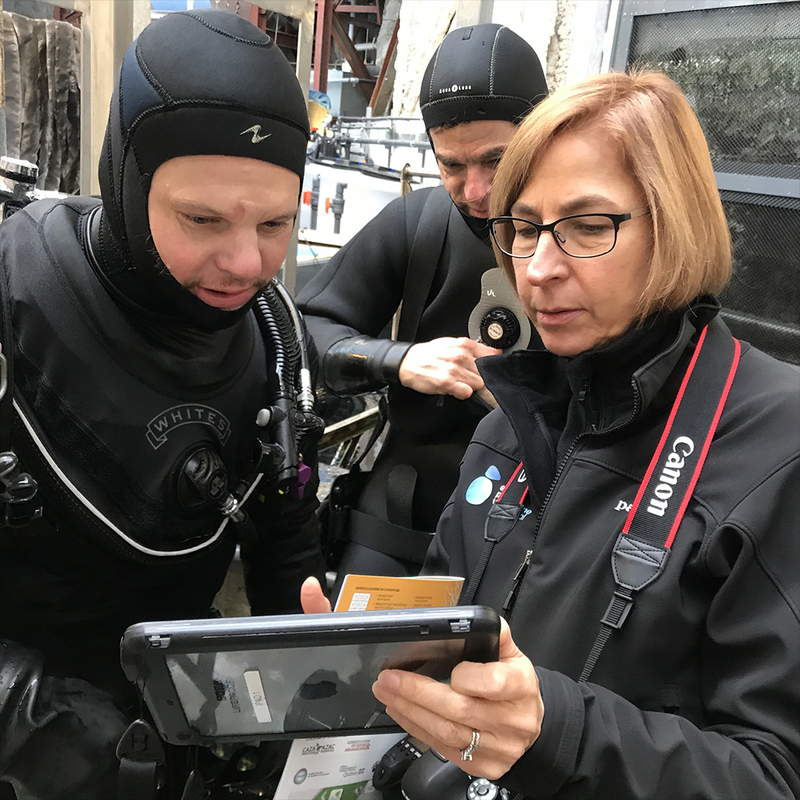 We truly hope this pilot project will come to fruition and open the door to a unique diving experience to the dive community of the Greater Montreal region. It would be a fantastic showcase for underwater activities. The Biodome offers a contact with nature, with over 4500 animals, right in Montreal since 1992. The Biodome’s mission is of education, conservation and scientific research. We wish to thank the Biodome team for their warm welcome, and to acknowledge their scientific rigor to protect the Biodome’s inhabitants during this activity. Les amis du Biodôme” are forever our friends, The friends of all divers. Their goal is to spread awareness and appreciation of the living world so its members and general public take heed of the protection, management and conservation of our natural heritage. Total Diving Montreal is a business dedicated to scuba diving since 1975. Specialized in training and scuba diving equipment in Montreal. We frequently collaborate with the Biodome as part of their diving activities. We supply breathable air meeting the highest industry standards.